heThe “inability of the heart to pump enough blood to sustain normal bodily functions” is known as Heart Failure. It occurs when the heart doesn’t have sufficient blood, when it is unable to pump enough blood to the rest of the body, or a combination of both. A person that has heart failure will still have a working heart; however, they must seek medical attention. Heart failure is a common condition that occurs over a period of time as the heart is weakened by other heart diseases and health conditions such as coronary artery disease, hypertensions, lupus and diabetes; both sides of the heart can be affected where a right-side heart failure results from the inability to pump blood to the lungs, and a lift-side heart failure results when the heart is unable to pump enough oxygen-rich blood to the rest of the body. CAD is the most common form of heart failure. The coronary arteries are vessels which supplies the heart muscle with oxygen-rich blood. When plaque consisting of fat, cholesterol, calcium and other substances, builds up in the coronary arteries it develops into a disease named atherosclerosis. Hypertension, otherwise known as high blood pressure, results when normal blood pressure is elevated to abnormal levels. The force at which blood is pumped by the heart is referred to as blood pressure, when the pressure is abnormal the heart pumps harder than normal. This may eventually lead to an enlarged heart that may not be able to perform. Lupus is a chronic disease where the immune system is unable to distinguish viruses and bacteria from the body’s cells. When this occurs auto-antibodies are produced that end up attacking the healthy cells, the auto-antibodies will cause inflammation and pain to body organs including the heart. Lupus can cause inflammation of the myocardium, the muscle tissue of your heart. 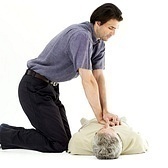 The symptoms are chest pain and an unexplained rapid or irregular heart beat. 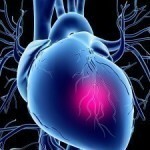 If the myocardium (muscle tissue of the heart) becomes inflamed the heart will be weakened resulting in heart failure. Diabetes is a disorder of the body’s digestive system and is a risk factor for heart failure as elevated blood glucose levels damage nerves and blood cells; diabetes is a known risk factor for atherosclerosis which as mentioned before causes narrowing in the coronary arteries as a result of the build up of fatty deposits. Research has shown that diabetes increases atherosclerosis through “highly reactive molecules that tear about sensitive cell components like DNA, causing premature cell death (apoptosis). This process also reduces the availability of nitric oxide (NO), which would otherwise enable blood vessels to relax and blood flow to increase”.